The classic Dumbo the Flying Elephant ride has doubled in size at the Magic Kingdom as Walt Disney World soft opened the attraction’s second carousel, spinning opposite the first which debuted just three months ago. 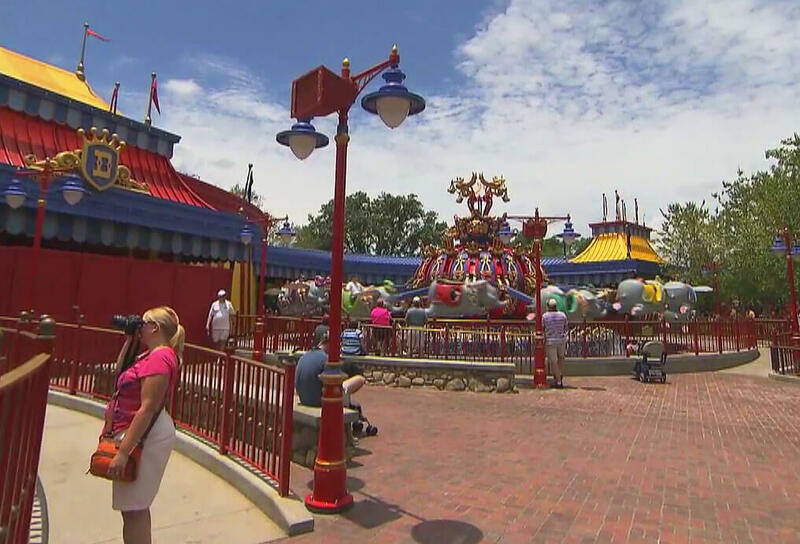 When the new Dumbo first premiered in March, Magic Kingdom guests were treated to an all-new look for the iconic Disney ride, adorned in shades of gold and vibrant red and blue and featuring an array of water fountains that light up in a rainbow of colors at night. Timothy Mouse has also returned to the ride, now twirling atop the attraction marquee. 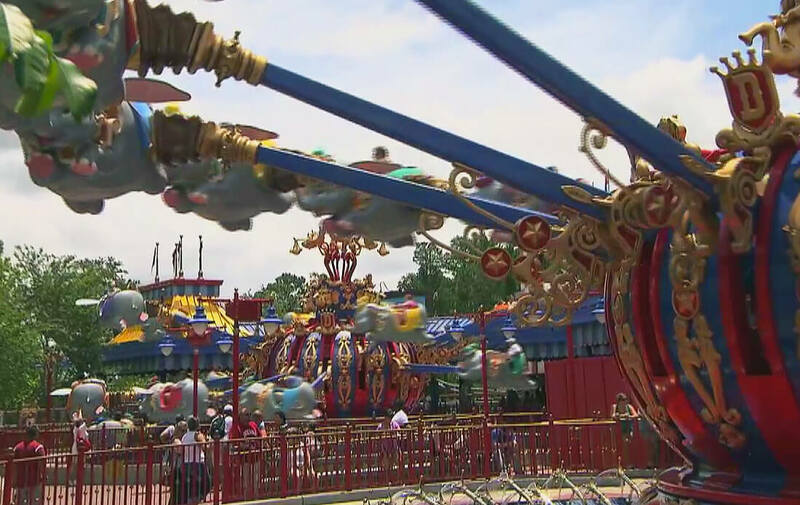 The new version of the ride is located in Storybook Circus, also home to the Barnstormer and Fantasyland Train Station. The area’s Casey Jr. Splash ‘n Soak Station along with Dumbo’s big top indoor queue will officially debut next month with the rest of Storybook Circus to follow in the coming months. I think they look absolutely gorgeous! Very ornate. Great shots, too. 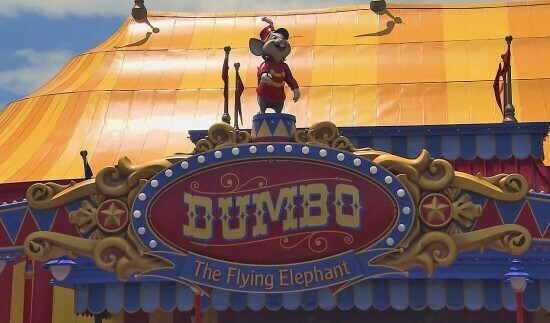 Dumbo is one of the attractions I like to do first thing in the morning; it’s just a nice way to get to see an aerial view of the park. But it looks so pretty at night, they did a nice job with the lighting.